All Seasons Equipment prides itself on being one of the regions lift specialists. With access to all brands and varieties of lifts, All Seasons can satisfy the needs of the small facility with low ceiling height to the larger bays with unlimited floor and ceiling space. 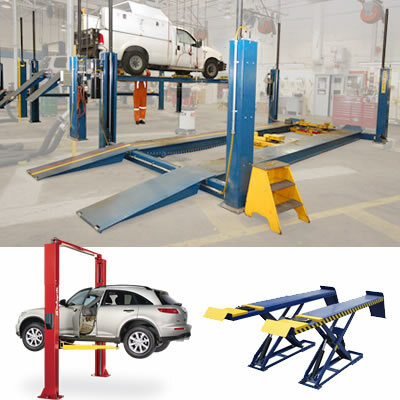 We carry all makes and models of lifts from motorcycle lifts to the 240,000 pound four post as well as in-ground, mobile-column, scissor lifts and mid rise lifts. Factory qualified installers can have you set up and trained in a matter of days after delivery. Financing available. Call for more information.